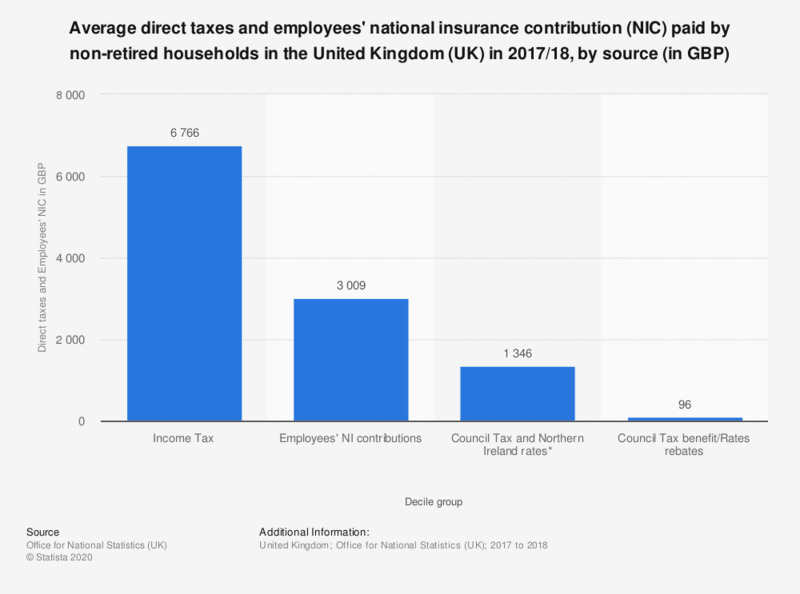 This statistic displays the average direct taxes and employees' national insurance contribution (NIC) paid by non-retired households in the United Kingdom (UK) in 2017/18, by source. Households in the UK, on average paid 6,766 British pounds in income tax; this was the largest outgoing per household. *Council Tax and Northern Ireland rates after deducting discounts.